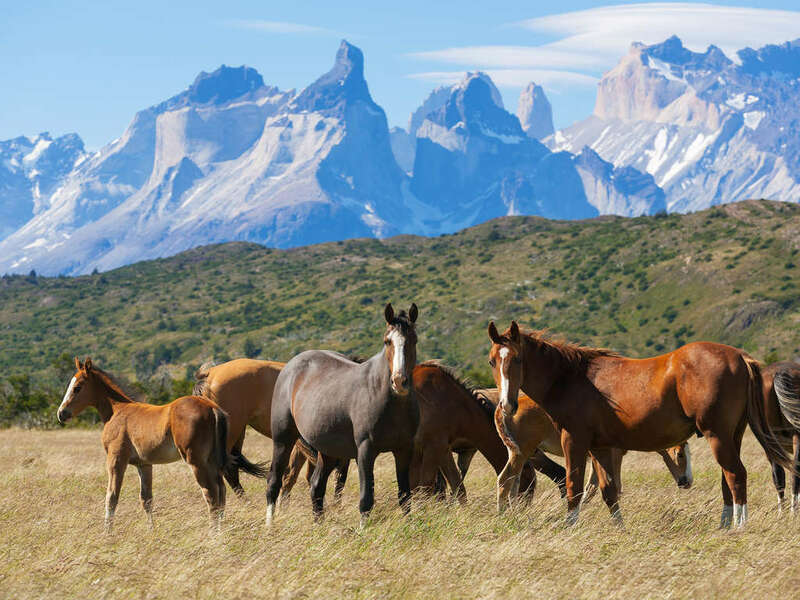 We will pick you up at 8:30 am from your hotel in Puerto Natales. 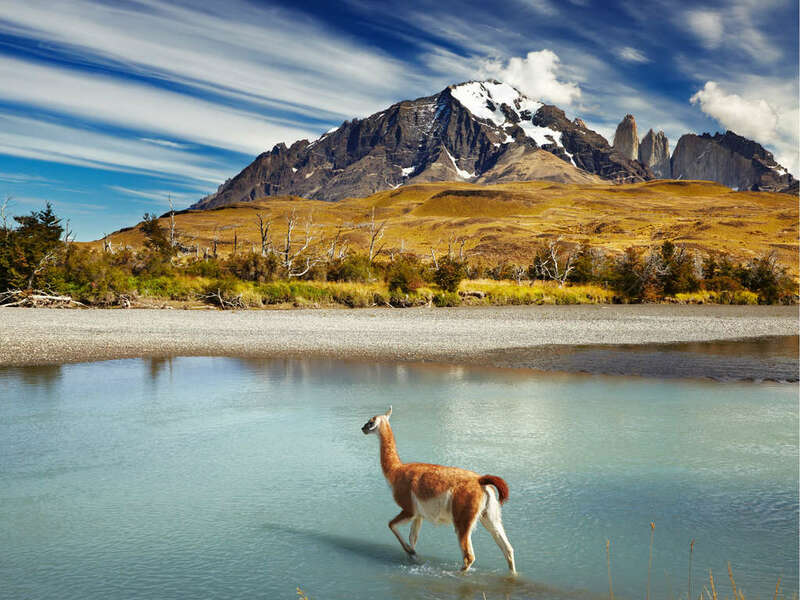 It's about a two hour drive to the entrance of Torres Del Paine. It's about a three hour hike up the Ascencio River before we make a final scramble up to the lookout point of Torres Del Paine. 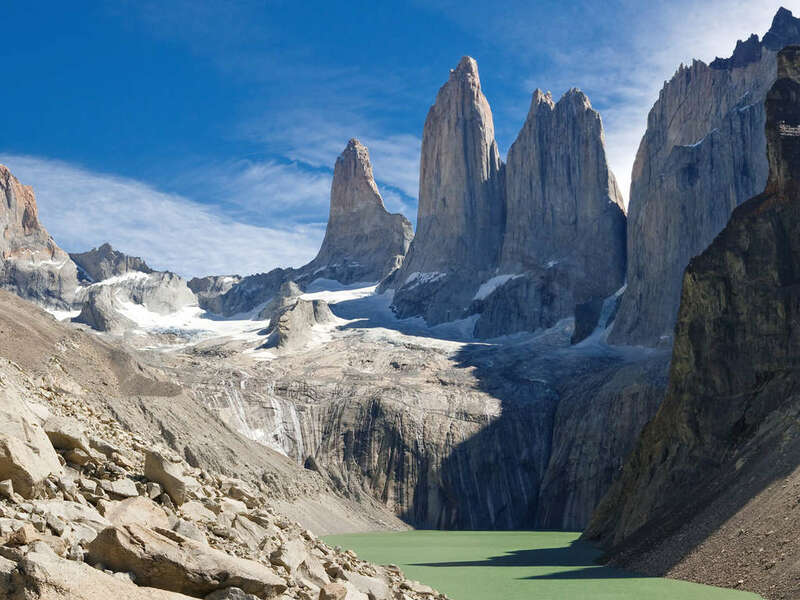 We will enjoy lunch as take in the views of the three granite towers which raise almost 2000m/6500ft directly in front of us. We follow the same path back to camp. 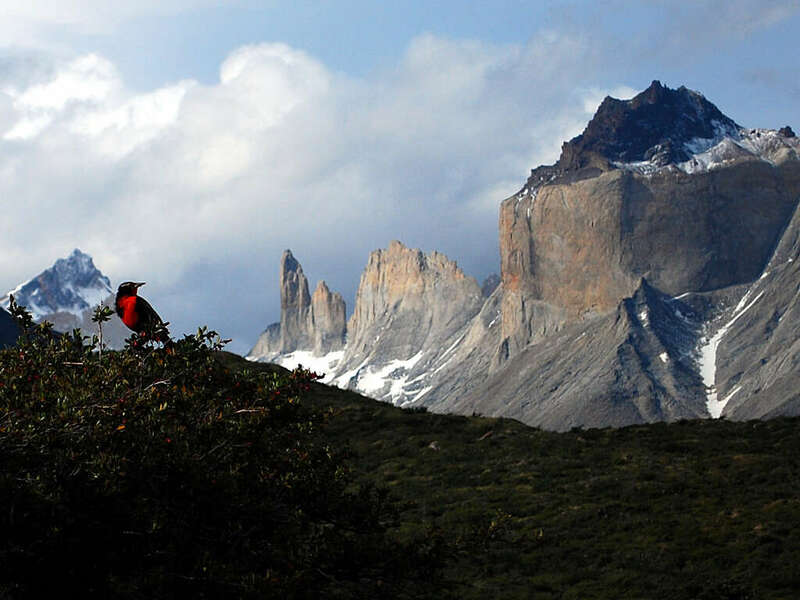 Today we head up the Rio Paine through one of the oldest beech forests in the park. It's a gradual uphill all day and after lunch we reach an excellent view point of Paine Chico. We setup camp at the Serón camp site and enjoy a good dinner. This is a relatively easy day with only gradual uphill as we follow up the river and go around Paine Lake. We have good views of Cerro Escudo (The Shield) and Cerro Cabeza del Indio (Indian Head Mountain). 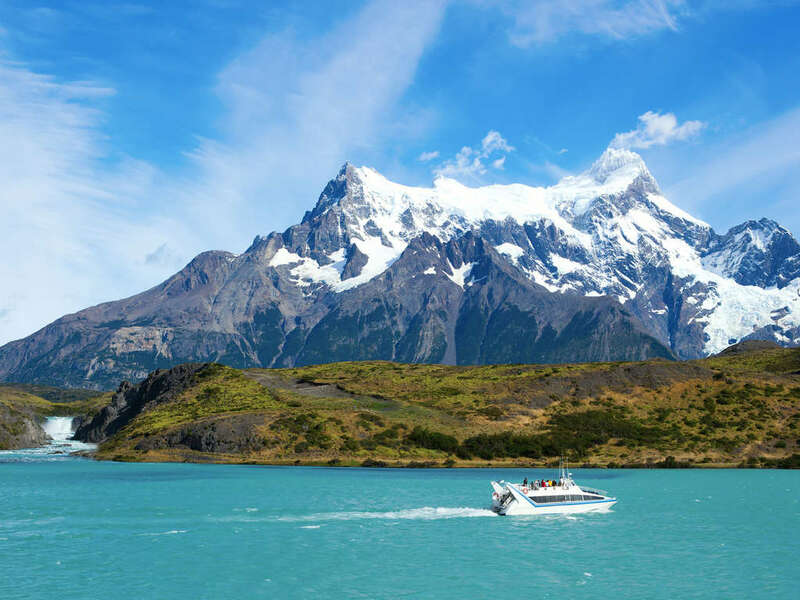 As we make our way to the headwater of the Paine River we have an excellent view of Cerro Cubo. We camp alongside Dickson Lake. Today we head up the Los Perros River which offers numerous views of the surrounding mountains. After lunch we cross the river on a hanging bridge and reach a large glacial lagoon. We camp at Los Perros. This is the most difficult day on the trek as we hike up and over John Garner Pass (1200m/3900ft). It also one of the most beautiful as we have outstanding views of Grey Glacier and the Southern Ice Field. We descend and head down the valley towards Lago Grey paralleling the lateral moraine of the glacier. We send the night camped on the beach of Lago Grey. If we are lucky we will wake up to views of the ice calving off of Glacier Grey into the lake. It's a relatively easy day as we make our way down valley with a stop at the Refugio for lunch. 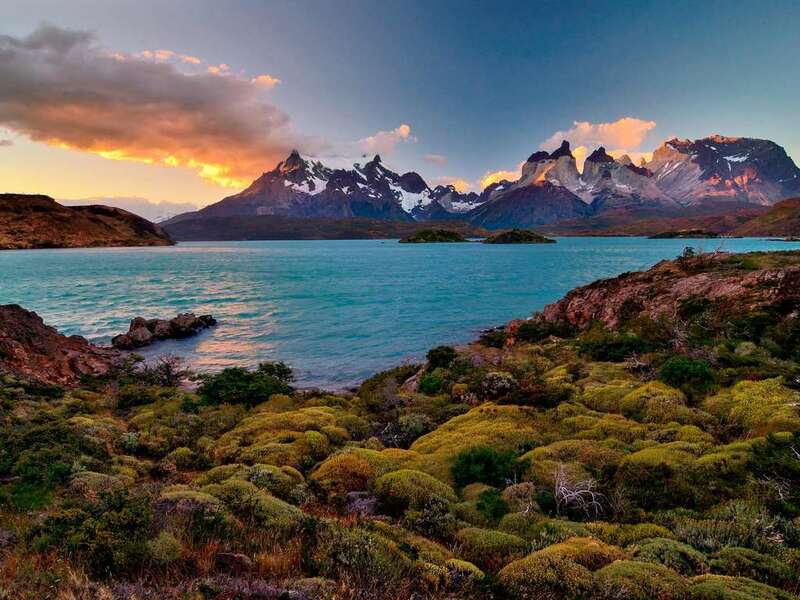 This is the last day of the trek and we make a morning excursion to the Mirador Frances from where we have a final panoramic view before heading back down and crossing Pehoe Lake by catamaran. Upon reaching the other side of the lake we will meet our transport for the drive back to Puerto Natales.